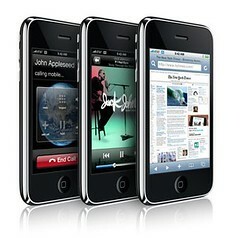 Steve Jobs, while launching the iTunes app store remarked that the iPhone (and iPod touch) is the best gaming device ever made. And looking at the kind of games available for the iPhone, I completely agree with ‘ol Steve. The App store has thousands of games available already, both paid and free. And each one of those games has been approved by Apple, so you can be atleast sure that whatever is available on the app store right now, is high quality stuff. In this post, we’ll look at some interesting iPhone games that are available right now and, of course, are free to download and use. 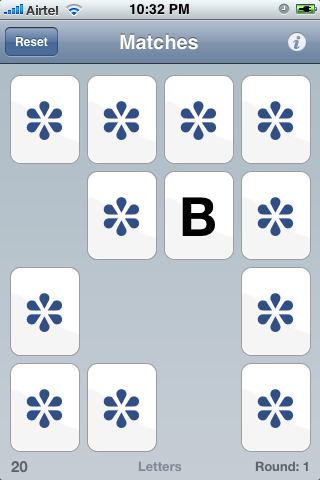 Matches is the iPhone version of the old game known as Memory or, well, Matches. 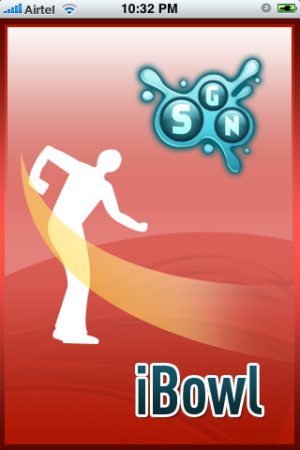 iBowl is from the makers of iGolf, another exciting and addictive free iPhone game. As is obvious from the name, iBowl is a bowling game – With a twist. The difference between iBowl and the other bowling games that most of us have grown up playing on other consoles is that iBowl uses the accelerometer built into the iPhone for the bowling part. What that means is that the player presses a button and pretends to bowl as if he’s playing a real bowling game, with the iPhone in hand instead of the, well, ball. 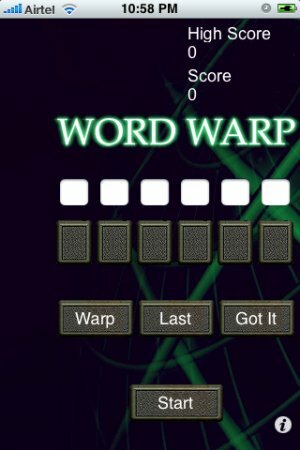 WordWrap is the iPhone implementation of the classic jumbled words dictionary based game – You get a set of letters, jumbled up, and you’re required to form as many words as you can out of those letters. If you use all the letters to form a single word, bonus points. Each progressive level gets more difficult, or not, depending on how well you’ve studied the dictionary. ‘Nuff said … this game has to be played to really be able to appreciate it. This is another of my favorite iPhone Games. I can spend hours playing this one, or atleast as long as the battery on my iPhone lets me. Vegas Pool sharks is like playing Pool with a twist. 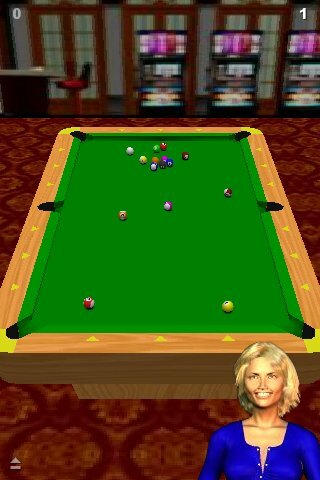 The Lite version is the good ‘ol Pool game which you play against an opponent controlled by the computer iPhone. 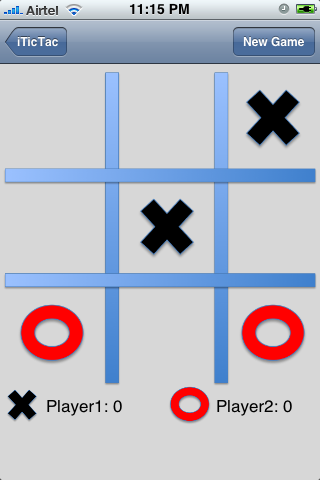 The paid version promises to make the game even more fun by letting you play against stakes. Now, this is one thing every gamer knows. Put some money on the table and watch a boring game transform into the most fearsome encounter ever. I’m sure this one will bring back fond memories of all those classes spent sitting in the last row playing Tic Tac Toe with your best bud, while the teacher continues with the most boring lecture ever. It sure evokes those feelings in me. I’ve literally spent ages playing this game and the last page of all my school notebooks will testify to that. I’m just glad the game is back in its most eco friendly avatar ever. I love it. Jeez you can do better than this..these games look boring..how about car park, or the car racing game you had i saw once, arkanoid,,even icopter is cool.. no?